Does the Bill require that the other doctor is independent from the treating doctor? GMC guidance or hospital protocols will help doctors to identify appropriate consultees; and will strike a balance between independence and relevant knowledge. If a doctor makes out the Saatchi Defence, will this stop a judge applying either of the Bolam or Bolitho tests to find that doctor to have been negligent? 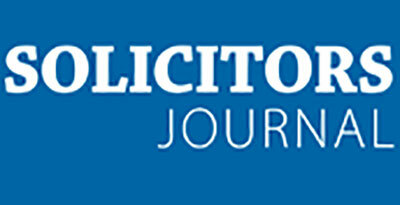 If a doctor has satisfied the reasonableness and responsibility requirements of the Bill, the Bolam and Bolitho tests will have been applied and satisfied at the point of treatment, so there will be no opportunity for lawyers to hire doctors to go into court and re-argue the issue in the hope of forcing a settlement from a risk-averse NHS budget-manager. One of the key tenets of the Medical Innovation Bill is that it will oblige doctors to record and share the results of incidental medical innovations in the Medical Innovation Register. This applies to both positive and negative results. As such, the Bill will begin to build data around innovations in a way never before seen in this country. We know that medical innovation already happens – though this bill will encourage more innovation by setting a clear process for doctors to follow that will ensure patient safety and offer the doctor legal clarity. But currently, there is no register for innovation, no database, no record of success or failure. 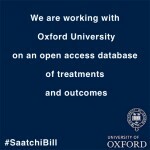 We are working with Oxford University to produce an open access database of treatments and outcomes under the Bill. So no one can replicate those successes and avoid the failures. Recording such data would also allow doctors and researchers to follow up on promising new therapies. “If evidence started to amass under the Medical Innovation Bill, that a treatment works then it would support the establishment of new trials. “Historically medicine has a large number of situations where new treatments have been developed by repurposing drugs for a new indication. “Currently this step is hard to make as people say that although the drug exists, is licensed, it cannot be used off license if there is no evidence as it would be wasting money that could be spent on licensed drugs for licensed indications. “This is particularly damaging for people with rare conditions where research is rare – this applies to cancers in particular. The Medical Innovation Bill would could speed this process of re-purposing drugs up thereby enabling treatments to get to patients quicker. I left the Palace of Westminster yesterday with the word “content” ringing in my ears – the Medical Innovation Bill has passed the House of Lords. A gentle utterance by fellow peers has ended a three‑year roller-coaster ride that has left me at times elated and at times in despair. But for the moment at least, I too am content. The day when patients with terminal diseases, and their doctors, will together be better able to try novel treatments, legally, safely and confidently, has all but arrived. There is one more river to cross before we reach the Promised Land. The Bill will now be carried to the House of Commons by Michael Ellis MP, where it will again be debated. Time is the enemy now. Parliament is dissolved in a matter of weeks, ahead of the General Election. But I am confident, because the Lords have sent this Bill to the Commons in good order. It has been roundly debated, challenged, amended, honed, tightened, clarified and improved by my colleagues on all sides of the House. Honest opposition to elements of it – no one has objected to the principle of the legislation – have now had their concerns met. I’m particularly grateful to the Labour front bench and Lords Winston and Turnberg – both eminent doctors; Lord Pannick QC, a renowned legal mind; and Lord Hunt, who comes from a stellar medical background. They have debated the Bill and laid helpful amendments that have strengthened it. I also owe a debt to Baronesses Wheeler and Masham. We have all worked together to lay a joint amendment making it a requirement that doctors who innovate under the Bill must record and share the results – good and bad – of their innovations on an open register. This is crucial if medical science is to be advanced. Doctors and scientists must know what works and what doesn’t. It is a leap forward for all doctors because today those innovations that do take place are not formally and universally recorded. It is also an amendment many medical and research bodies have called for, and I am delighted that today it is on the face of my Bill. I must also thank the Telegraph and its readers who have followed this Bill and cheered for it. We would not be where we are today without you. Are we home? We are certainly close. I am confident we will find time in the Commons. I say this because more than 18,000 patients contributed to the Department of Health’s consultation on the Bill last year. Another word for patients is voters. I believe that MPs will also recognise that their constituents want to see change. And they will see that the Bill has been tested no fewer than four times in the House of Lords, taken apart and reassembled line by line. Opposition has evolved into support. During the first committee stage there were 39 amendments made. Yesterday, there were just two – both of which I supported. But what a journey it has been. The Bill was born in the mire of my personal grief, and inspired by some of Britain’s most brilliant doctors. 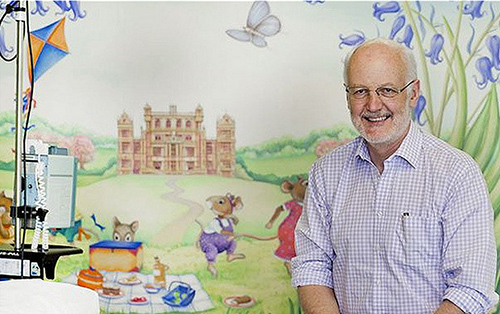 In recent weeks I have seen supporters such as Charlie Kitley, Ismena Clout, Rachel Stevens – daughter of the Bishop of Leicester – all succumb to cancer. Their memory is dyed in the fabric of this Bill. And opponents have fought the Bill. Most in good faith. Others less so – and it has been a struggle at times to hold back as my team and I have been accused of being liars, of being in bed with Big Pharma, of having some perverse agenda other than the acceleration of medical science. All I wish is that others may not have to experience what I and the families of those I have just mentioned are experiencing today. I have, on occasion, let my feelings show. It has been particularly irksome to be criticised by legal firms who profit by suing doctors. In particular, I think of Leigh Day – under investigation themselves for destroying evidence crucial to the defence of British soldiers in Iraq wrongly accused of deliberately abusing detainees. What is my motivation? Do I have an axe to grind? What is my interest? I will be clear. I am doing this because I believe it is the right thing for patients, for medical science, for finding new ways to treat incurable diseases. And in memory of my wife and all those who have died of cancer. Cancer and its treatment is the number one cause of the untimely death of British citizens. There were around 165,000 cancer deaths this year – the same as last year and the same as next year. Apparently, cancer is so complex that it is beyond the judgment and understanding of the human mind to comprehend all its variables. This point was confirmed in a recent study by scientists at America’s distinguished Johns Hopkins University which concluded that many cancers are “just bad luck”. The law cannot cure cancer. Parliament’s power, though awesome, is not sufficient. Only science can do that. But the law does have the power to change the culture. Consider its impact on race, drink-driving, smoking in public places. No amount of exhortation or guidance from on high could have achieved what the law has done. No one would consider smoking in a restaurant today. The Medical Innovation Bill, which tomorrow returns to the House of Lords for its third reading, does not offer some miracle treatment for a sofar incurable disease. But it will, I believe, encourage the men and women who will who find those cures. 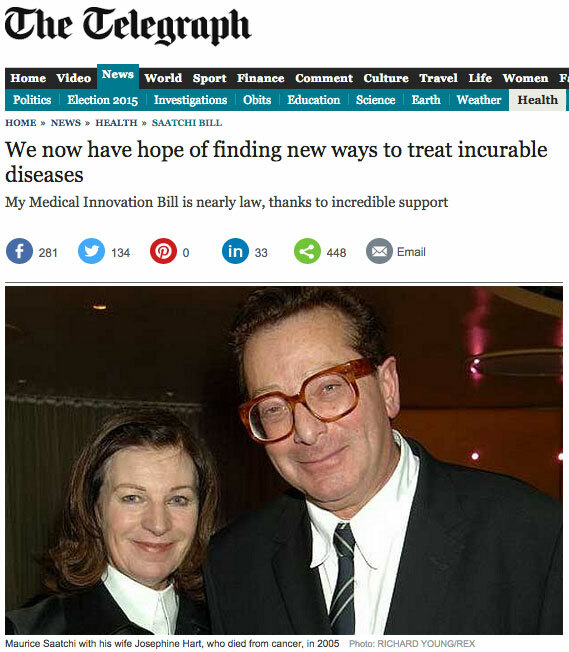 This is why I hope the House of Lords will decide to pass the Medical Innovation Bill – a Bill that has been strongly supported by The Telegraph from the start – and send it to the House of Commons for approval. This follows 18-months of line-by-line scrutiny by some of Britain’s greatest judges, doctors and scientists, with safeguards designed by Sir Bruce Keogh, Medical Director of the NHS and with the approval of the Government and many thousands of doctors and patients. Here is the situation for many people today. When a patient with cancer or a child with a degenerative disease – such as Duchene muscular dystrophy – is handed a terminal diagnosis, when the doctor says there is nothing to be done other than offer standard treatments which are known not to work, two things happen. First, the patient dies. Second, medical science is halted in its tracks by the repetition of the same, failed experiment. Doing the same thing, offering the same treatment, knowing it won’t work is madness. Today, the law protects the doctor who carries out only standard procedures. It says that that doctor cannot be sued if – as it always will – the treatment fails. My Bill won’t change that. A doctor can continue safely and legally prescribing the standard therapies if they wish. There will be no obligation to innovate. What the Bill will do is offer the same protection to a doctor who offers an innovative treatment to the dying patient – in advance of the treatment taking place, as long as they can get the support of at least one other relevantly qualified doctor. It will encourage them to think beyond the standard treatment. It will allow them to see what else might – only might, for there are no guarantees – make a difference to the dying patient. It will change the culture of defensive medicine to one where the balance of risk is gently recalibrated making it permissible to consider trying something new, something less well documented than the well-worn path to death. And lest there be any doubt about what is responsible for the culture of defensive medicine, look at the facts. Last year we, the taxpayer, paid out £1.2bn to meet negligence claims against the NHS, a figure that has doubled in five years. According to the Treasury, we the people have a further liability for a staggering £26bn, up £2bn since last year. Many who have had concerns about the Bill have pointed out that if it is to make a difference to medical science, then the results of innovations need to be documented and be shared so that other doctors and scientists can make use of the results – avoid the failures and try to repeat the successes by setting up full medical trials. The Bill encapsulates what is seen as by the top hospitals as best practice – that is discussing innovative treatments with expert colleagues in advance of that treatment. Doing this means that doctors can formulate the best options – and calculate the risks to the patient. The Bill says if doctors do this and write it all down and get the patient’s consent, they will be legally protected. This is why I hope today my Bill, soundly tested, forensically analysed line by line by my colleagues in the Lords who number among them some of Britain’s top legal and medical brains – and amended by them – will pass to the Commons. There has been much heat generated by the debate over the Medical Innovation Bill. Only recently, some described it as a ‘PR war’. It is – or ought to be – no such thing, and I appeal for calm consideration on all sides. For two years, Lord Saatchi, parliamentary counsel Daniel Greenberg and I have been talking to doctors, lawyers and patients about how best to encourage medical innovation in order to facilitate better, faster and safe discovery of more effective treatments for currently incurable diseases. Indeed, we have held meetings with leading medical negligence lawyers and have adapted the Bill accordingly, and it has changed in light of the feedback and challenges given. This feedback has been gratefully received, by the concerned parties mentioned, as well as former senior judges, politicians and former opponents. Few would agree that the medical status quo is working well for patients with rare diseases for whom randomised clinical trials (RCTs) are not an option – often because there are few trials open to them, because the cohort numbers are insufficent to populate them. But let me be clear. This is not in anyway a derogation of the importance of RCTs. Evidence-based medicine is the gold standard. And it is why we are still committed to logging on a central, open database all innovations under the Bill – so that incidental evidence can be built up and taken forward to full RCTs. It is, however, a statement of what to many is obvious; RCTs are not the answer for every disease type and every patient. One size does not fit all. An example – and there are many – how many trials are open in the UK to patients with aneuroendocrine tumour? The answer is one. Putting aside the fact that the trial is not about researching a potential cure, but comparing two current treatments, neither of which will save lives, there is an exclusion list that rules out many patients. I am one of them. Two years ago I was diagnosed with a nueroedocrine tumour. I had surgery. If it comes back, I will be excluded from this trial because I am an insulin-dependent diabetic. In short, there is no trial available. This is the case for so many currently incurable diseases. Under the Bill, a doctor can be given the necessary confidence, in appropriate cases, to investigate and, if appropriate, offer, an innovative treatment to such a patient outside an RCT. However, the Medical Innovation Bill is only one of a raft of initiatives that either are – or should – be in play. 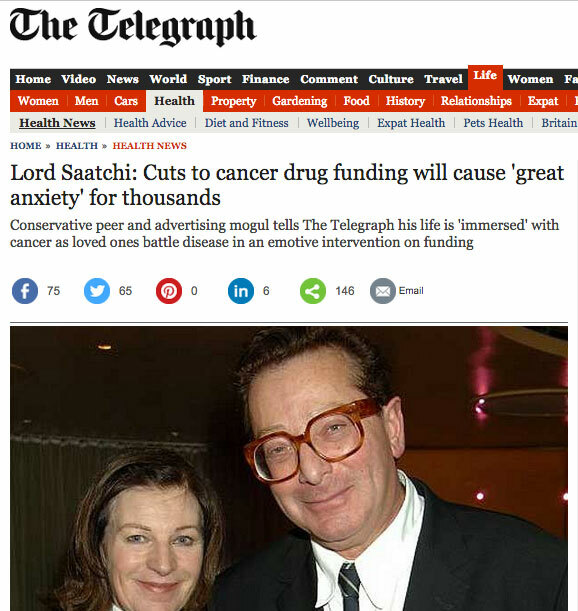 No one – including Lord Saatchi – claims this Bill is the silver bullet. 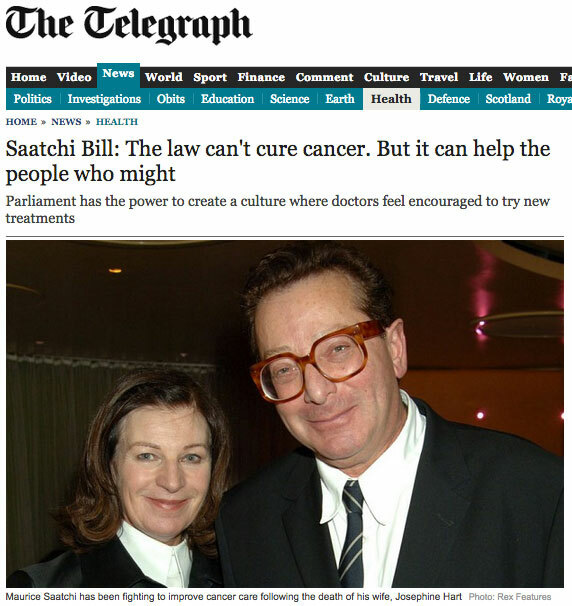 As an aside, Lord Saatchi did once pose the question: ‘How can an Act of Parliament cure cancer?’ He answered his own rhetorical question thus: It can’t – but it will enable the men and women who will. It is a question that has unintentionally riled those who have allowed themselves to get angry about the Bill. I say again, this Bill is no cure-all, but is an important step forward. What does the Bill do? In short it brings forward the Bolam test to a pre-treatment setting. Doctors wishing to avail themselves of protection under the Bill must build a responsible body of medical opinion prior to treatment, rather than hoping they can construct one after the event, if they are sued for negligence or threatened with disciplinary proceedings. This is designed to give doctors and patients certainty and clarity at the point of treatment, and therefore the necessary confidence to proceed and innovate. First, this does not mean a doctor must follow this procedure. Some doctors, especially high ranking ones in centres of excellence, may be confident to innovate now. Others tell us they are not. This Bill is for them. Doctors will have a choice – to rely on Bolam or the Bill. To defeat a claim of clinical negligence under Bolam, a healthcare professional is required to adduce evidence from respected peers within their speciality who agree with the standard of practice which is the subject of the action.. Under Bolam, a defendant doctor will not be deemed to have been at fault, providing his or her course of action is one that is professionally backed by appropriately experienced colleagues, even if certain other members of the medical profession may take an opposing view. The Bill requires the same, but in advance and with greater clarity. There has been much made of the requirement in the Bill to ‘obtain the views of’ other doctors, rather than requiring their ‘agreement’ to proceed. We considered introducing a requirement for agreement, and were persuaded against it by senior doctors. They were worried that being asked formally to approve a colleague’s proposed course of treatment would act as a deterrent, and doctors would feel reluctant to do so without having a complete history. However, they would be happy to feed in their own views, as they already do in many contexts. Instead of consultation taking place after the event if the doctor is sued, under the Bill it will take place prior to treatment: views have to be obtained, and there is an express requirement to give effect to them in a reasonable way. The profession, and ultimately the courts, will give guidance on what that means in practice. Doctors simply ignoring the views of experienced colleagues who were clearly opposed to the treatment could not expect protection under the Bill. And the same goes for doctors who simply surround themselves with ‘yes men’ to approve their proposed treatments. But the Bill is more than a prosaic piece of putative legislation. The Bill also works on another level. It will allow more doctors to consider innovating as a matter of course, rather than defaulting to procedures that are known not to work. In this respect, the Bill acts as an agent of culture change. It has also stirred welcome debate on how we can drive innovation in healthcare. Some opponents say the Bill targets the wrong issue. To them I say two things: first, it is an answer to some of these issues. There is a culture of defensive medicine growing in the UK, fuelled in part by the explosion of medical negligence suits against the NHS. This Bill will help to moderate that, safely and sensibly. Second, it is now for people of goodwill to use the space created in the media by this debate to offer solutions to the problems faced by patients, for whom evidence-based medicine is chimera, and who will die waiting in the queue for the never-to-happen clinical trial.